L-R: Infinity Power Parachutes Commander 912, Commander 582, and Challenger 503. 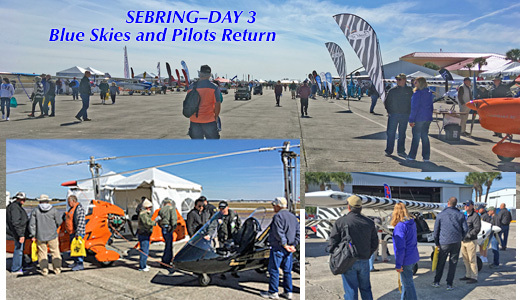 As Day Three arrived, blue skies returned to Sebring after a damp start on Day Two and with them came the best crowds of pilots and companions of any day so far …by far. As you see in the lead photo (home page), crowds were often so thick around aircraft that a picture barely showed the flying machine. It was a fun if chilly day and the mood of pilots and aircraft reps was upbeat. I was also informed that a number of paid sales went down and prospects are talking seriously about other purchases. 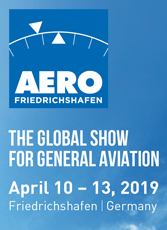 Most aircraft vendors know a purchase of this size may warrant additional thought post-event but clearly some customers had come ready to deal. For years I've maintained that sector-specific shows like Sebring produce more sales per visitor than the big shows. 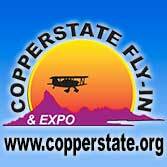 Neither pilots nor vendors can miss Sun 'n Fun or Oshkosh and still claim to be true-blue aviators. 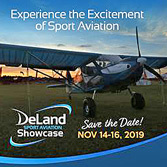 Yet events like Sebring, Midwest, and DeLand make connections between ready-to-buy pilots and aircraft sellers at a fairly consistent rate. Infinity Power Parachutes — We shot a video interview with Frank Williams of Infinity Power Parachutes. He is taking over the company from Alvie Wall but the founder will stay involved to help. They've been working together as Frank transitioned into the business. Fall in love all over again with Titan Aircraft's T-51 three-quarter scale Mustang. We reviewed the current line-up of Infinity models. Their Challenger is a single place, Rotax 503-powered, true Part 103 aircraft that sells ready-to-fly complete with big off-runway tires, 375 square-foot canopy, and engine instrumentation for mere $17,000. Given the average price of a new car in America is now reported at $33,000, I'd said Challenger qualifies as a bargain aircraft. You may not think of yourself as a powered parachute pilot but my personal experience is these aircraft offer the best visibility in aviation combined with slow flying speeds (30s mph) that allow you thoroughly absorb the view. 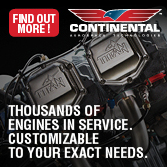 The two Commander models are powered either by the Rotax 582 (65 horsepower) or the Rotax 912 (80-100 horsepower). These tandem two place aircraft use a 500 or 550 square-foot canopy. Like Challenger, Infinity offers the two Commanders as ready-to-fly Special LSA. 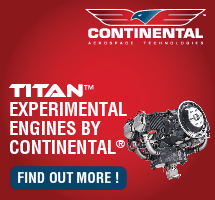 Delivery takes only four weeks and your aircraft will be delivered factory test-flown. Sure, Duc builds a fine line of props, but can they throw a party? Answer: Yes, they can! All Infinity models use a dual three-inch angle beam structure that provides exceptional strength. Frontal bars preferred by some pilots are not needed for structural integrity, said Frank. Titan Aircraft T-51 — On Day One, I wrote about Titan Aircraft's sleek two place kit called Tornado. Today I want to show you an image of their subsequent — but completely different — T-51, a Mustang replica that is amazingly true to form. Look for yourself. I had quite the experience flying the original prototype many years back and I can attest this is one interesting flying machine. 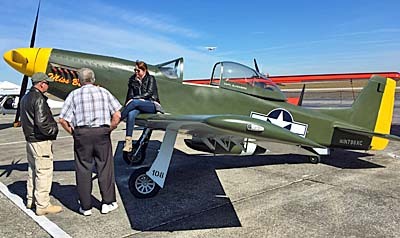 I've also flown in a striking Stewart P-51 lookalike powered by a 450-horsepower Corvette engine but I've never gone aloft in a full military North American P-51 with 1,695 horsepower. However, for capable kit builders T-51 can deliver an intense sensation of nostalgia and a taste of what it must have been like for hundreds of twenty-something fighter jocks in World War II. Hoo, rah! DUC Propellers USA pulled out all the stops with a professionally produced grand opening gala complete with drinks, dinner, live band, and cool Western hats for all. Although T-51 is not a Light-Sport Aircraft, it was released in the same year of the very first SLSA acceptances by FAA, 2005. Duc Propellers USA — After reliving my vivid Mustang experience I needed to relax. 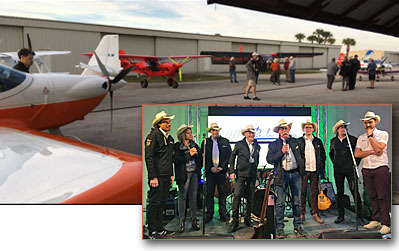 What better way to do that than to attend the Duc Propellers grand opening party celebrating the French prop maker's new USA headquarters at the Sebring airport. The new facilities will provide North American sales, service, and maintenance for the Duc line of props. A spacious hangar has been leased at Sebring with offices and work areas provided by the airport. Lead by their capable outreach man, Michael Dederian, Duc has made great inroads into the Light-Sport and Sport Pilot Kit space. 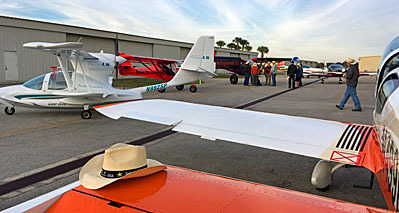 At the kick-off party, Duc assembled an impressive number of airplanes from the Expo — each fitted with Duc props, of course — providing a mini-airshow right outside their quarters. I estimate around 250 attended their party, which was very professionally organized and catered. Go, Duc! As Day Three arrived, blue skies returned to Sebring after a damp start on Day Two and with them came the best crowds of pilots and companions of any day so far …by far. As you see in the lead photo (home page), crowds were often so thick around aircraft that a picture barely showed the flying machine. It was a fun if chilly day and the mood of pilots and aircraft reps was upbeat. I was also informed that a number of paid sales went down and prospects are talking seriously about other purchases. Most aircraft vendors know a purchase of this size may warrant additional thought post-event but clearly some customers had come ready to deal. For years I’ve maintained that sector-specific shows like Sebring produce more sales per visitor than the big shows. Neither pilots nor vendors can miss Sun ‘n Fun or Oshkosh and still claim to be true-blue aviators. Infinity was the first company in the Powered Parachute field to win Special Light-Sport Aircraft approval. Today, they make a line of aircraft from the $11,000 Part 103 model to a deluxe, top-of-the-line two seater with the 100-hp Rotax 912S powerplant that sells for $31,000 (both numbers in early 2010). You can also build an ELSA kit. This video walks you through the company's entire line. 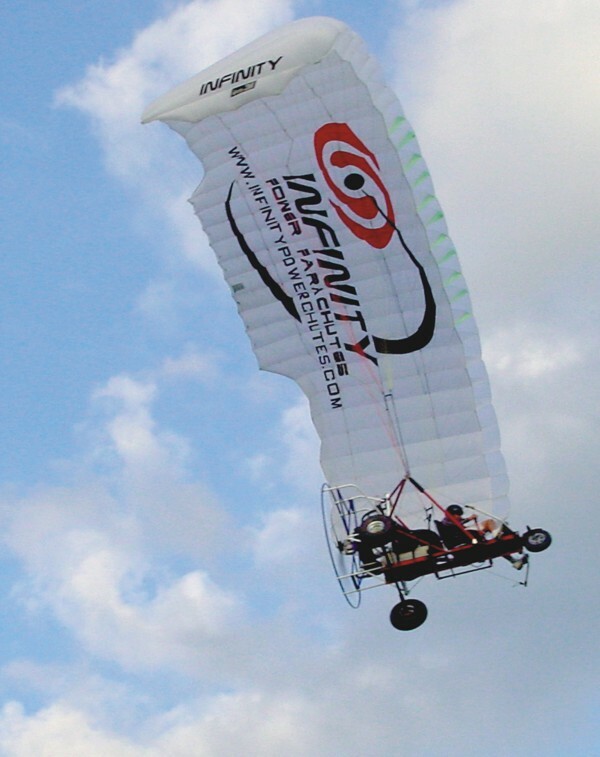 Infinity was the first company in the Powered Parachute field to win Special Light-Sport Aircraft approval. Today, they make a line of aircraft from the $11,000 Part 103 model to a deluxe, top-of-the-line two seater with the 100-hp Rotax 912S powerplant that sells for $31,000 (both numbers in early 2010). You can also build an ELSA kit. This video walks you through the company’s entire line. Infinity's line of PPCs includes the two-place S-LSA and E-LSA, as well as a single-place, Part 103 ultralight-legal PPC. In addition to the two aluminum angle bars that beef up its frame, another distinguishing feature of the Infinity PPC is its raised second seat and an aluminum grate beneath the fuel tank to protect it from puncture. Infinity Power Chutes earned S-LSA approval for its PPC in January of this year and announced it would offer both an S-LSA and E-LSA version. 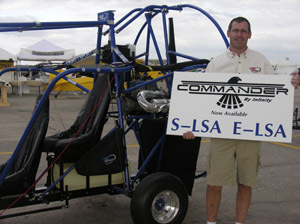 The ready-to-fly S-LSA will sell for $17,900 while the E-LSA kit is priced at $16,400. Infinity offers its machines with the Grand Rapids engine information system (EIS) as standard equipment, as well as a prop balancer. Its S-LSA version is available with either a 65-hp Rotax 582 engine or a 100-hp Rotax 912S. The world of light-sport aircraft (LSA) includes five classes of aircraft-airplanes, gliders, powered parachutes, weightshift- control aircraft (commonly called trikes), and lighter-than-air aircraft (balloons and airships). While fixed-wing airplanes may be the most prolific, they are not the only way for flight enthusiasts to take to the sky. Weight-shift trikes and powered parachutes (PPCs) are also popular modes of flights. Each offers a different experience to pilot and passenger. Some fixed-wing pilots claim no interest in powered parachutes. While PPCs certainly aren't fast, they do offer one of the best viewing platforms in aviation and have attracted a higher percentage of non-pilots as buyers than any other aviation segment. That fact alone should cause more aviators to look closely at them. So far three powered parachute companies have obtained special LSA (S-LSA) approval for their models. The first to achieve this was the Summit 2 from Summit Powered Parachutes in April 2006. In January 2007 the Commander from Infinity Powered Parachutes gained S-LSA approval, and just before Sun 'n Fun this spring, Powrachute's AirWolf 912 also won S-LSA approval. To many observers, all powered parachutes seem virtually identical. But that's like claiming all airliners are alike. Sure, most PPCs have evolved to visually similar shapes because that's what works well. 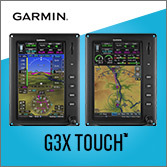 Dig down a bit deeper, however, and you begin to uncover unique distinctions each designer thinks makes his or her machine a better aircraft. This month we'll look at how Infinity Powered Parachutes differentiates its Infinity Commander 582 from other PPCs. Closer to Infinity I flew the Infinity Commander 582 in September 2004 just after the new sport pilot/light-sport aircraft (SP/ LSA) regulation became effective. SLSA powered parachutes were still beyond the horizon. But as 2007 arrived and the U.S. 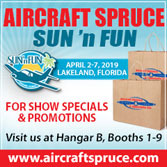 Sport Aviation Expo opened in Sebring, Florida, Infinity Power Parachutes became the first American powered parachute producer to win S-LSA approval. Infinity owner Alvie Wall proudly displayed his Commander 912 at the LSA season-opening event. Alvie started his business in mid- 2001. Prior to starting Infinity, he was a mechanical engineer for about 10 years working for enterprises that made specialty manufacturing tools, experience that now assists him in his aviation business. Before starting his own operation, he gained valuable experience working with the now-defunct Destiny Powered Parachutes. The Infinity Commander resembles most powered parachutes, but the company has taken several steps to set it apart from the others-refinements that Alvie feels makes the machine better in noticeable ways. Perhaps the most obvious are two substantial rails that run from the nose wheel to aft of the prop guards on each side of the machine. These 3-inch angle aluminum "spars" lend rigidity to Infinity's frame. Most other PPCs use a tube structure that tends to allow greater flexing of the carriage. The rest of the frame uses 4130 chromoly steel, 6061-T6, and 6063 aluminum, with AN hardware fasteners. Alvie also positioned Infinity's fuel tank atop those front-to-rear rails rather than hanging below the main seat structure. In this more protected area, debris and obstacles cannot compromise the tank's integrity, adding to pilot and passenger safety. A small aluminum grate below the engine further protects fuel lines routed through this area. On the left side of the carriage a high-push fuel pump is mounted. It reportedly doesn't draw as well as it pushes, so it is optimal to mount this pump below the fuel tank. Again, the grate helps protect this equipment. I liked Infinity's translucent fuel tanks. Because you can see the fluid inside you're less likely to overfill, and you can check the fuel remaining while you're airborne. You don't have to turn far to make this visual check. Infinity models have a double hoop structure surrounding the prop that also gives more rigidity to its frame. That's good for two reasons-one is for roll-over protection, and the second is to save replacing expensive props in the event of a mishap. In 2004, Infinity extended the beefy front-to-rear rails all the way back to the hoop ring for more strength. Infinity's axle system is a threepiece affair. On the exterior is a flexible ribbed cover. Doing the real work underneath is a fiberglass gear leg with two layers of sleeved chromoly steel. The gear leg mount allows 360-degree movement of the axle, as opposed to merely up and down on most PPCs. In rough fields, this may help the gear last longer. Alvie also paid close attention to the canopy attachment points. "Our canopy attachment points are located at a near perfect position in relation to the thrust line of the prop," he noted. Placing these connection points too high can cause a PPC to fly with a porpoising motion. He said the width of the chute attachment points is also important to allow the chute to have the proper crown. While some PPC models offer an optional nose pod including a windscreen, Infinity offers a removable frontal bar system. Some feel these bars offer additional protection for the pilot, but they also provide structure so that an optional windshield can be added to shelter the occupants from windblast in colder weather. Alvie has also gone to considerable effort to offer a wide range of standard equipment. "We include dual throttle controls, dual ground steering, the Rotax 582 engine with B drive, electric start, the Grand Rapids digital engine information system, a Prop Master prop balancer, side storage bag, chute bag and line sleeves, strobe, 22-inch smooth tundra tires mounted on polished spun aluminum wheels, and chute steering line trimmers." Infinity offers all this equipment with a three-year chassis warranty. Such warranties are not common in light aircraft, and such a long one is good proof that Infinity feels it is building good hardware that will last. Up and Down My Infinity flight experience came with Infinity's Minnesota dealer, Tim Norling. He came to our flight review with two years of experience and 300 hours of flying time. He's a relative newcomer to aviation, one who got excited by powered parachutes and is fulfilling his dream of flight. He was eager to show me the feature of this machine. Front seat entry into an Infinity, as on most PPCs, is simple. You only have to avoid catching your feet in the steering lines. Getting into the back seat, with more structural members around that location, requires a different method. Tim's technique involves ducking underneath the forward line support tube and then plunking his rear end in first. You can use the overhead to leverage yourself. The seats on the Infinity adjust for people of different leg lengths. While this may be a convenience on lots of aircraft, it is quite important on PPCs where your feet do the primary steering and flaring in flight. On the ground, steering is handled via the power lever. The taxi steering system is to push forward to go right, pull to go left. While it may not be as obvious as rudder pedals, it's reasonably intuitive after you examine how the linkage works. A brake at the top of this steering lever aids in stopping. As Tim prepared the Infinity for takeoff, his inflation technique started with the chute's center section cells tucked under the lower side, which is on top during the pre-inflation layout. This method keeps the center section from filling up too quickly while he warms his engine. (A reverse technique, pulling the upper leading edge from under the lower surface, will help it inflate quicker when repeating takeoff with a fully warmed engine.) While PPCs certainly aren't fast, they do offer one of the best viewing platforms in aviation and have attracted a higher percentage of non-pilots as buyers than any other aviation segment. Overall, takeoffs in the Infinity are as straightforward as in most PPCs. And, other than planning good approaches, landings are also quite easy. Tim delivered my first deliberate engine-off PPC landing. He believes the front-to-rear rail system, paired with the strong yet flexible axle, can withstand such landings with no damage. Indeed, no damage occurred, but the landing was rougher than I expected. I was glad we did it, and I appreciate Tim demonstrating this on his own machine, but it showed that an engine-off landing can be a somewhat harsh affair. Even if your flare timing is perfect, I can see how front to rear rails or other structural parts might be damaged on other designs. In flight, PPCs are interesting aircraft to maneuver. While Tim and I flew around the countryside of rural Minnesota, the effort to control direction and stay on heading demanded only small foot movements, though you hold the motion longer than on a three-axis or weight-shift aircraft. In fact, if you back off the foot bar, the turn stops and the canopy returns to straight and level flight-the place it always wants to be without pilot input. For a sharper turn, by pushing hard on one foot bar you get a reasonably rapid result. If you push on the foot bar and pull on the correct steering line, you can quicken the turn rate substantially. PPCs are highly stable aircraft, but fortunately they respond well to steering control. Optional elliptical canopies can make much sharper turns, but they are recommended only for more experienced PPC pilots. Tim's Commander is powered with the 65-hp Rotax 582, but Infinity now offers the 100-hp Rotax 912S. The bigger engine can produce a 900 fpm climb with two 200-pound occupants onboard, whereas a comparably loaded 582-powered model would be closer to 400 fpm. That's the figure I saw while Tim and I flew somewhat under gross weight. When Tim flies solo, he sees about a 600 fpm climb with the Rotax 582. Fixed-wing pilots need to put this in perspective. When your forward speed is only 26 mph, the resultant climb angle appears reasonably steep. Infinity uses all Apco canopies, built by the long-established Israeli company, with 500- and 550-square foot models standard for its twoseat PPCs. Pilots seeking a boost in performance may choose an elliptical canopy, also supplied by Apco. Elliptical chutes may increase a PPCs speed to as much as 40 mph and their glide is reportedly substantially better, some say as high as 7-to-1, but I had no way to measure this. Elliptical canopies also have a faster turn response. All these performance differences combine to suggest elliptical canopies aren't for all PPC pilots, and they are not recommended for newcomers. Elliptical canopies inflate and come up so fast they can fly over the chassis and collapse on the ground in front of the PPC frame. Consequently it's important to learn how to handle these chutes. If you're looking for a new kind of flying experience|or think that powered parachutes might be the right "flying carpet" for you, check out the Infinity. It just might lead you to places you never imagined. Notes: 1 A 550-square foot wing is available, as are elliptical canopies. The world of light-sport aircraft (LSA) includes five classes of aircraft-airplanes, gliders, powered parachutes, weightshift- control aircraft (commonly called trikes), and lighter-than-air aircraft (balloons and airships). While fixed-wing airplanes may be the most prolific, they are not the only way for flight enthusiasts to take to the sky. 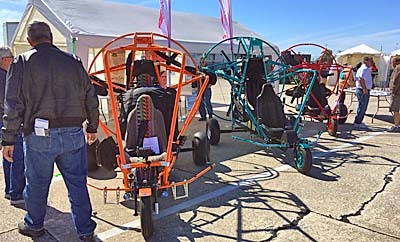 Weight-shift trikes and powered parachutes (PPCs) are also popular modes of flights. Each offers a different experience to pilot and passenger. Some fixed-wing pilots claim no interest in powered parachutes. While PPCs certainly aren’t fast, they do offer one of the best viewing platforms in aviation and have attracted a higher percentage of non-pilots as buyers than any other aviation segment. That fact alone should cause more aviators to look closely at them. So far three powered parachute companies have obtained special LSA (S-LSA) approval for their models. The first to achieve this was the Summit 2 from Summit Powered Parachutes in April 2006. While we await entry from more powered parachute brands -- Blue Heron and Powrachute are working toward approval -- Infinity is the first in America to issue their Statement of Compliance. Infinity owner Alvie Wall holds an info sign. December is a quiet period for many businesses, unless they are involved with consumer retail. It was the first month in 18 that reported no new SLSA. But the Sebring Expo evidently proved to be a motivator as we had no less than four announcements at the show. *** Infinity Power Parachutes of Sturgis, Michigan proudly showed their Commander SE 582 two seater that earned SLSA #45. This represents powered parachute approval #2 and is the first American PPC to win its airworthiness certificate. Commander has altered the structure from my earlier Infinity 2001 report but retains the dual three-inch angle beam structure that provides exceptional strength to Infinity models. Commander's carriage also continues the flexibility of frontal safety bars as a removable option; primary structure is not affected. Commander 582 has sold for $15,000 but the cost of earning SLSA approval is certain to increase the price. Still, this is one of the most inexpensive LSA you can buy. December is a quiet period for many businesses, unless they are involved with consumer retail. It was the first month in 18 that reported no new SLSA. But the Sebring Expo evidently proved to be a motivator as we had no less than four announcements at the show. *** Infinity Power Parachutes of Sturgis, Michigan proudly showed their Commander SE 582 two seater that earned SLSA #45. This represents powered parachute approval #2 and is the first American PPC to win its airworthiness certificate. Commander has altered the structure from my earlier Infinity 2001 report but retains the dual three-inch angle beam structure that provides exceptional strength to Infinity models. Commander’s carriage also continues the flexibility of frontal safety bars as a removable option; primary structure is not affected. Commander 582 has sold for $15,000 but the cost of earning SLSA approval is certain to increase the price. CLEAN & NEAT - Sitting in dealer Tim Norling's flying field, the Infinity powered parachute looks strikingly well organized. It comes fully factory-built. NO BLOW - Some folks think that at 25 to 30 mph, you'd never want a windscreen on a powered parachute, but for those flying in cold climates, a windshield can extend the flying season. LIGHT & STRONG - Infinity's single-place model uses the same assembly components as the 2-place versions, making for a very tough machine. TIGER BARS - No one seems to remember why the footbar stirrups are called Tiger Bars, but they offer restful feet positions while cruising above the landscape. Note the disc brake hardware. PROTECTED LINES - With fuel lines running from the fuel tank bottomside, a protective grating keeps debris from causing problems. ALVIE & STAFF - Infinity Power Parachutes owner Alvie Wall (front seat) shows how two men can fit comfortably in the independent seats. Note the high back support offered and the 4-point pilot restraint harnesses. LAUNCH & GO - Minnesota dealer Tim Norling of Let's Fly inflates his training rig, launches, and flies a normal pattern. Note the Hybrid canopy wing design identified by the extended chord near the wing/canopy root. INFINITY 2004 - New for this year is the Hirth 3701-powered Infinity with a 5-blade Powerfin prop. Here's a way to get 100 horsepower for a relatively modest cost (under $20,000 as seen here). STANDARD EIS - Infinity supplies the Grand Rapids Technologies electronic EIS engine information system as standard equipment on all their models, and houses the EIS in this clean mount. DUAL HOOP OPTION - Besides protecting propellers like this 5-blade Powerfin arrangement, the dual hoops give good rollover protection, if needed. On a warm summer evening, a large field of 3-foot-tall oats sways gently in the breeze. In this pastoral setting a runway is cut down the middle. The farmer who owns this field has a light aircraft he flies from his country property, and he's kind enough to allow Tim Norling, a local powered parachute pilot, to use it, too. Norling operates Let's Fly, an Infinity powered parachute dealer 20 miles north of Minneapolis, Minnesota. By the time Norling gets his Infinity powered parachute set up, the winds have quieted down, as we hoped they might. It is a beautiful evening for flying in Minnesota, and I am ready for a flight. Some pilots say, "Oh, those powered parachutes are too vulnerable. You can only fly them in gentle winds." Yeah, so? Is it really imperative to fly in strong winds? Is being restricted to mild conditions a bad thing? Powered parachutes tend only to be flown when it's pleasant to do so. If that's the worst thing anybody can say about them, no wonder these easy-to-learn aircraft have sold so well in the last decade. Attitude Adjustment Almost 10 years ago when I first soloed in a Buckeye Dream Machine,1 I didn't grasp their value. I like lots of airplanes, and I've had the pleasure of flying a great many of them. But I simply didn't understand the appeal of powered parachutes. Grant you, they make terrific sightseeing platforms, offering huge visibility. And the fact that you don't jet over the landscape gives you time to see it all in a leisurely fashion. But "you can't go anywhere," at least very fast. So what? After several more powered parachute flights, I began to see them differently. These rigs maneuver quite well, turning more sharply than most pilots think they can. Once I got used to a series of new control movements, they were very simple to operate. You don't need a lot of gauges and gizmos because powered parachutes are simple flying machines. Now I'm something of a powered parachute enthusiast. When the chance came to fly one with fellow Minnesotan Tim Norling, I jumped at the opportunity. Norling is typical of powered parachute pilots. He has been flying for 2 years and has racked up 300 hours of flying time. Being an Infinity dealer helps, but he's obviously one of those newcomers to aviation who got excited by powered parachutes and is fulfilling his dream of flight. He looked at fixed-wings, but saw a couple of incidents that concerned him. He might not have gotten into aviation, but one day he saw a powered parachute. In a classic tale, he chased the odd-flying machine to its landing, talked to its pilot, and within a couple of weeks told his wife he'd be buying one. Norling learned the ropes, became an instructor, and is now getting ready to renew his ultralight flight instructor rating through EAA. He had a pretty good year in '03, but 2004 has been slower, he says. In the 2-year period, he says he flew with 180 students and sold 17 aircraft. Infinity Power Parachutes owner Alvie Wall is surely excited to have a pilot like Norling working the market for him. Place just 20 Norlings around the country, and you could sell a couple hundred powered parachutes per year. Wall started his business in the middle of '01. 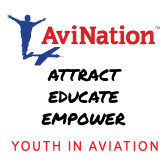 Prior to engaging in the aviation business, he was a mechanical engineer for about 10 years working for enterprises that made specialty-manufacturing tools, experience that probably assists him in the aviation manufacturing business. He was once associated with Destiny Powered Parachutes as an original partner in that company. Making A New Name To many observers, all powered parachutes appear very similar. But that's like saying all airliners are identical. Sure, models of both types of aircraft share similar looks, as that's what works. Dig down a bit deeper and you begin to uncover unique aspects, changes their designers thought would make the machine a better aircraft. Compared to other powered parachutes I have reviewed, the primary difference in the Infinity carriage is the main front-to-rear dual-rail construction made of 3-inch angle aluminum. Norling feels this makes the Infinity substantially stronger than other designs he has examined. He was sufficiently convinced of this fact to make the offer of a 2-place engine-off landing. Wall says, "If you use round tubing for the main rail structure of a powered parachute, you'll have more of a tendency to flex throughout the length of the assembly and round tubes make the mounting of the other components more difficult." Some powered parachute designs use a center stick, sometimes to control ground steering. Should the main front-to-rear frame fail, on a hard landing for example, a center stick will tend to slap back at the front occupant, perhaps with undesirable consequences. Another positive attribute of the design is the fuel tank sitting on top of the front-to-rear rails rather than hanging below it. In this protected area debris and obstacles cannot compromise the fuel tank. A small aluminum grating below the engine further protects fuel lines that route in this area. On the left side is a high-push fuel pump that doesn't draw as well as it pushes, so it is optimal to mount this pump below the bottom of the fuel tank. In turn, this puts the pump and its lines in a more exposed position without the grating. I like Infinity's translucent fuel tanks. Since you can see the fluid inside you're less likely to overfill and you can check quantity remaining while you're airborne. You don't have to turn around very far to make this visual check. Since a powered parachute moves around in the air, a visual check is better than a fuel gauge that might be bobbing around erratically. Infinity Power Parachutes' principle designer is Alvie Wall, who calls his mast structure just aft of the rear seat a "tree," which is built somewhat differently depending on the engine mount needed. A double hoop structure surrounding the propeller gives more rigidity to this component for two design reasons: one is for rollover protection; the second is to save expensive props from being damaged in the event of mishap. This year, Infinity extended their beefy front-to-rear rails all the way back to the hoop ring. Infinity's suspension is made up of 1.5-inch fiberflex rod inside a double-sleeved chromoly tube. It runs tire to tire continuously. When I interviewed Wall, he listed some of the things he believes set Infinity apart from the rest of the industry. "Our canopy hook-up points are located at a near-perfect position in relation to the thrust line of the prop," Wall notes. Placing these connection points too high can cause the machine to fly with a porpoising motion. He says the width of the canopy hook-up points is also important to allow the canopy wing to have the proper crown. He continues, "We use two high back seats, equipped with 4-point pilot restraints, and our front seat is adjustable (without the use of tools for adjustment). "Our fiberflex rod suspension allows the tire to move in all directions, making your takeoff taxi run and landings smoother on all types of terrain. We are also the only manufacturer using a large 22-inch completely smooth tundra tire for those less-than-perfect flying locations," Wall observes. Forward fuselage bars have become increasingly common on newer powered parachute designs. About his design, Wall says, "Our frontal bar system is removable." You can purchase an Infinity with or without frontal bars, and this decision has no effect on structur al integrity of the machine. He adds, "For those who enjoy flying during the cold winter months, our optional windshield is a great accessory to combat the winter wind." Beautifully Set Up The Infinity comes with a good feature set as standard equipment. Some companies offer a stripped-down version to produce a lower price tag. However, Wall wanted to offer more. Here's what comes standard: dual throttle controls, dual ground steering, Rotax 582 2-cycle aircraft engine and Rotax B-drive with electric start, independent dual seats with head support, 4-point pilot restraint harnesses, Balance Masters prop balancer, EIS digital engine information system, and remote choke. You can order the throttle movement either way - forward for more power or rearward for more. Powered parachutes offer a mixed bag. For example, Buckeye uses a pull-aft-for-more-power arrangement that they liken to a joystick more so than a conventional throttle. After years of offering this, some powered parachute pilots prefer this configuration. Norling was one of those who, at first, preferred pull-aft-to-increase-power. However, he decided to switch all his customers to push forward for more power. He logged 250 hours of pull aft (the joystick analogy) and had to unlearn. With the more conventional throttle setup, Norling now has 50 hours logged and says most of his customers prefer forward-moving throttles for launching. The front fuselage bars are an option. Some prefer a more open cockpit, so again Infinity offers it both ways. If you choose the fuselage bars, you can add an optional windscreen. While a windshield on a 25- to 30-mph aircraft may seem unnecessary - and while many buyers might agree - a 25-mph wind when it's very cold outside will heighten the chilled sensation dramatically. You sunbelters who don't understand the reality of wind-chill factor need to know that Norling flies his completely open-cockpit powered parachute just as much in the winter as summer. In fact, the large tundra tires he uses work in 10 or 12 inches of snow, he says. He only has to put a ski on the nosewheel. However, wintertime flyers can use the winter screen or make their own using the also-optional front fuselage bars. Norling observes that using the factory fuselage bars option ($300), you can add your own windscreen and fasten it to the bars with Velcro®. He did this himself on an earlier Infinity he owned and it worked great. "But," he observes, "be sure to cover the opening by the instrument deck. Otherwise it acts like a funnel and directs a blast of cold air right at you." "Most who order the fuselage bars," says Wall, "do so to have a windscreen ($150)." The factory windscreen has wings and angles to it that do a good job of deflecting the 30-mph airflow when the Infinity flies with a standard canopy wing. Of course, the frontal bars also add some structural rigidity and can be used to ease your way in and out of the seats. However, Wall is quick to point out that the structural integrity of his design in no way depends on the fuselage bars, as he claims they do on some other brands. Front seat entry, as on most powered parachutes, is very simple. You have only to avoid catching steering lines in your shoes. Norling's entry technique to the rear seat involves ducking underneath the forward line support tube and then sitting rear-end first. You can use the overhead structure to assist yourself. Trying to climb over those forward support tubes isn't easy. On the 2-seater, the seats adjust for people of different leg lengths. This may be helpful on lots of aircraft but it is more important on a powered parachute where your feet do the primary steering and flaring. Infinity's axle system is actually a 3-piece affair. On the exterior is a flexible ribbed cover. Doing the real work underneath is fiberglass and two layers of sleeved chromoly steel. This method allows 360° movement of the axle, as opposed to merely up and down on most aircraft. In rough fields, this may help the gear last longer, Norling feels. The taxi steering system is push-forward-to-go-right, pull-back-to-go-left. While it may not be as "obvious" as rudder pedals, it's reasonably intuitive after you examine how the linkage works. A brake handle is at the top of this steering lever. The silver stirrup-looking constructions hanging down from the footbar (see photos of red chassis) are called Tiger Bars, to allow you a more relaxed foot position while in flight. They'll allow you to hold your legs in a more relaxed position and can be used most times in flight. Norling advises that you "retract" your legs before landing to assure your feet don't slip off. As he prepared the Infinity for takeoff, Norling's canopy inflation technique starts with the center section ram-air cells tucked under the lower side, which is on top during canopy preinflation layout (when the canopy is arranged upside down). This method keeps the center section from filling up too quickly while Norling warms his engine. A reverse technique, pulling the upper leading edge from under the lower surface, will help inflate more quickly when repeating takeoffs with a fully warmed engine. Of the 17 aircraft Norling sold in the last 2 years, all were supplied with brakes, which he finds especially useful for engine warm-up. "During fly-ins or other times when people are wandering around, [brakes are] also useful," he adds. Easy Up, Easy Down As I learned when soloing a powered parachute, you must assure the canopy is flying straight and true above you before adding full power. Half throttle will bring the canopy up easily and it can then settle down before you continue. In calm winds, this occurs quickly. In cross or gusty winds, it may be more challenging. However, you cannot spend too much time looking up or you can become distracted from keeping your ground path straight (this was a mistake I made on my first powered parachute solo1). Overall, though, the takeoff effort in the Infinity was as straightforward as it is in most powered parachutes. Other than planning good approaches, landings are also quite easy in these machines. However, I'd never done a deadstick landing, something I consider routine practice in any other plane I fly regularly. Norling delivered my first deliberate engine-off powered parachute experience. He thinks this is a maneuver most other powered parachute companies will refuse to perform, at least when flying 2-place. Norling believes the front-to-rear rail system, paired with the strong yet flexible axle, is enough that he feels no damage will result. Indeed, no damage occurred, but the landing was rougher than I expected. I was glad we did it and I very much appreciate Norling demonstrating this on his own machine, but it shows an engine-off landing is a somewhat harsh affair on powered parachutes. Even if your flare timing is perfect, I can see how front-to-rear rails or structure might become damaged on some designs. In flight, powered parachutes are interesting aircraft to maneuver. By pushing hard on one footbar, you get a reasonably rapid result. If you push on the foot and pull on the correct steering line with one hand, you can quicken your turn rate substantially. While Norling and I flew around the verdant countryside of rural Minnesota, the effort to control direction and stay on heading demand only small foot movements, though you hold the motion longer than on a 3-axis or weight-shift aircraft. In fact, if you back off the footbar, the turn stops and the canopy returns to straight-and-level flight - the place it always wants to be without pilot input. These are highly stable aircraft, but fortunately they respond well to steering control. We flew alongside a friend of Norling's in his Destiny Fusion powered parachute equipped with an elliptical canopy. The elliptical canopies can turn more sharply than regular canopies, which I saw repeatedly demonstrated while the Fusion flew relatively close to us. Big Power Norling had a 65-hp Rotax 582 2-cycle aircraft engine, but he referenced the 3-cylinder, liquid-cooled, fuel-injected, 100-hp Hirth 3701 engine that Infinity is now offering. The bigger engine can produce 500 feet per minute of climb with two 200-pound occupants, where a comparably loaded 582-powered model does about 300 fpm. I saw these approximate figures with Norling and me onboard, and neither of us is that heavy. But it was a warm summer evening with plenty of humidity, which probably accounted for the "reduced" climb rate. When Norling flies solo, he sees about 600 fpm of climb. Fixed-wing pilots need to put this in perspective. When your forward speed is only 26 mph, the resultant climb angle appears reasonably steep. The Hirth 3701 set up to produce 100 horses can hit 900 fpm of climb solo pumping a lot of air with a 5-blade Powerfin prop. This 100-hp 5-blade option is $3,000 extra over the Rotax 582. The whole package with the entire standard Infinity equipment list and the big engine retails for $19,950 in the summer of '04. While the engines account for a good part of the overall performance equation, the canopy wing does its share of the work. Infinity uses all APCO Aviation canopies, built by the long-established Israeli company. Infinity uses a 400-square-foot canopy for their single-seater. The 500- and 550-square-foot models for the 2-seaters are available in a standard and hybrid versions. The hybrid version uses a "dovetail" extension, meaning a longer chord of the center section of the canopy wing. Norling had one of the extended center chord hybrids on his Infinity. Wall planned to try a new 550 canopy, but was not yet offering this latest design from APCO. Those seeking a boost in performance can go for an elliptical canopy. APCO has one they can supply to Infinity buyers. The top speed can increase to as much as 40 mph and the glide is substantially better, some say as high as 7-to-1 though I had no way to measure this. Plus, as mentioned earlier, the elliptical canopies feature faster turn response. All these performance differences combine to suggest elliptical canopies aren't for all powered parachute pilots and should not be recommended to newcomers. In addition, the elliptical canopies inflate and come up so fast they can fly over the chassis and collapse on the ground in front of you. Of course, this is poor technique and you must learn how to handle the higher performance canopy so you don't roll over them with the propeller still turning. Prop conflicts after such errors have caused major damage. It may sound like something you'd never do, but these canopies react quite differently than the standard square or hybrid square canopies most powered parachute pilots use. Infinity Choices Given that powered parachute producers all buy their canopy wings from a few suppliers, performance and handling are not essential criteria for why you buy one powered parachute brand over another. Fixed- and flex-wing enthusiasts often overlook this fact. In truth, most of the purchase selection relates to how the chassis is designed and built, and to the quality of service given by the manufacturer. Inifinity prides itself on service and three different dealers to whom I spoke praised the Michigan company. Two of those three dealers represented other brands, yet still claimed Infinity Power Parachutes offers the best service. Infinity Power Parachutes owner Alvie Wall supports the evaluation of his dealers. "We not only assemble every plane sold, but we also test-run each plane as well. This is the only way to ensure the customer receives a product with all the parts and that each functions properly. After close to 300 planes assembled and test-run, I'm certain I have witnessed the majority of problems which can occur during the initial startup." Since Infinity fully builds and test-runs the engine, customers don't have to solve problems that in many cases they would be witnessing or discovering for the first time. Wall has also gone to considerable effort to make his Infinity models have a wide range of equipment that comes standard. "We include dual throttle controls, dual ground steering, Rotax 582 engine with Rotax B gearbox reduction drive, electric start, Balance Masters prop balancer, side storage bag, canopy bag and line socks, strobe light, Grand Rapids Technologies digital Engine Information System, 22-inch smooth tundra tires mounted on polished spun-aluminum wheels, and canopy steering line trimmers." Infinity offers all this equipment with a 3-year chassis warranty. Such warranties are not common in light aircraft, and such a long one is good proof that Infinity feels they're building a good aircraft that will last. Infinity sells the 2-seat Rotax 582-powered model for a suggested retail price of $13,950. Norling usually sells Infinity powered parachutes with a few options and prices the complete, ready-to-fly rig for $15,200 to the public. For example, he orders all his powered parachutes with the nosewheel disc brake system. A disc brake on the nosewheel is new, Norling says. The new one is more durable and more stylish than had been used in the past. Normally disc brakes are optional. A single-seat Infinity comes standard with a 50-hp Rotax 447 dual-carb 2-cycle aircraft engine and no electric starter, though you can opt for a Rotax 503 with E-drive electric starting. It sells for a modest $10,900 with line trimmers, strobe light, instrumentation, canopy and lines bag plus 4-point pilot restraint harnesses. The single-place fuel tank holds 5 gallons; however, Wall told me that empty weight of the single-seat Rotax 447 model is 306 pounds, which means it cannot qualify under FAR Part 103. The top-of-the-line 2-seater powered by the potent Hirth 3701 with the 5-blade Powerfin prop (itself an $850 investment), sells for $19,950. Although an Infinity powered parachute is very well equipped for its base price, some folks like to add all the goodies. 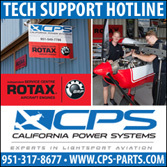 The company has plenty to choose from including: Rotax 582 E drive with electric start ($400); APCO Hybrid canopy as used on our test aircraft ($300); somewhat larger APCO 550 canopy ($150); nosewheel disc brake ($300); ceramic-coated exhaust ($150); exhaust muffler silencer ($125); lower foot rests, called "Tiger Bars" ($120); double hoop ring ($200); front fuselage bars ($300); and windshield ($150). No matter how you equip your Infinity, it represents a good value. Given the range of aircraft available from this relatively new company, Infinity Power Parachutes probably has something of interest to anyone intrigued by powered parachutes. After a close look, Norling or another Infinity dealer will be happy to get you started. 1 See "UF!Pilot's Report: flying a Buckeye Powered Parachute," August '95 Ultralight Flying! magazine. Notes: 1 A 550-square-foot canopy is available, as are elliptical canopies. Single-seater uses a 400-square-foot canopy wing. Standard Features Rotax 582, dual throttle and ground steering controls, electronic EIS instrument system, APCO 500 canopy wing, line socks, canopy bag, Balance Masters prop balancer, side storage bags, 4-point pilot restraint harnesses, 22-inch tundra tires, spun aluminum wheels, strobe light, double prop hoop ring, steerable nosewheel, steering line trimmers. Options Hybrid or APCO 550 canopy wing, nosewheel disc brake, engines up to 100 horsepower, ceramic-coated exhaust, electric starter, electronic fuel sensor, rear-seat canopy controls, propeller choices, front windscreen, frontal fuselage bars, double prop hoop ring. Single-seat Infinity also available, with a very similar equipment list. Construction 4130 chromoly steel, 6061-T6 and 6063 aluminum, AN hardware fasteners. Made in the USA. Pros - New design uses a fore-to-aft main frame construction of 3-inch angle aluminum that gives the machine great strength. Optional double prop hoop looks beefy enough to offer real protection. Design provides many items as standard (when usually optional). Infinity evolved from other brands and brings some improvements. Cons - Added structure adds to empty weight; Infinity is significantly heavier than some designs. Few design qualities truly differentiate Infinity from other brands. Pros - Lots of standard equipment on the Infinity: electric start, strobe light, remote choke, and more. But one excellent quality is dual throttle and steering controls. Can view fuel in tank while flying, the most reliable solution. Very easy repair access to all components of chassis. Cons - Trimming is something you do on the ground, with the canopy lines, and it needs to be done correctly. While dual throttle and ground steering, no in-flight steering or braking possible from rear seat (except via hand pull of steering lines). Engine kill switch only in front seat. Pros - Strong, secure cockpit for possible hard landings. Independent, well-padded seats with high back support and 4-point pilot restraint harnesses. Front seat is adjustable for pilots of different height or leg length. Controls at both seats (not including in-flight steering) are useful for training and other 2-place use. Cons - Rear seat entry requires a scramble that less flexible occupants must struggle to accomplish (due to placement of line support tube). No room (other than tubing mount) for radio installation or other instruments. Windscreen must reach to the main frame rails to be fully effective in cold weather. No baggage area. Pros - Ground steering available at both seats, a great advantage if the Infinity is to be used for instruction. Optional nosewheel disc brake aids engine warm-up. Superb visibility for pretakeoff check, even from rear seat with front fuselage bars. Brake conveniently operated by lever on steering handle. Cons - Brakes are only useful when taxiing; not useful for significant vehicle slowing. Big tundra tires give a lot of bounce on rough strips. "Taxiing" a powered parachute is a learned skill of keeping enough speed to fly the canopy; limited capability without bagging canopy first. Pros - Great suspension system and heavy-duty front-to-rear structural rails make takeoffs and landings more certain in an Infinity. Excellent visibility in virtually all directions to check for traffic around the airport/airfield. With power, adjusting approach angle is very simple in an Infinity. Good ground clearance and protected fuel tank and fuel lines. Cons - Landing without engine caused no damage to the Infinity (even near gross weight), but was much firmer than I expected on an aircraft that retained energy better. Energy retention on powered parachutes is a low value. Forget crosswind capability; plan good approaches to wide- open fields. Pros - Conventional footbar steering and conventional canopy still allow for surprisingly deft maneuverability. Precision turns to headings are easier than you'd expect. Setting up good approaches is easy (with good planning). When in doubt, get off the footbars and a powered parachute will "right itself" very quickly. Cons - Powered parachutes have no diving capability if needed (though reducing power sets up a relatively steep approach). Turn initiation is relatively quick but turn rate is somewhat sluggish; an elliptical canopy will offer faster turning, but comes with other handling requirements (see takeoff and landing). Pros - Infinity does an excellent job of engine mounting and vibration isolation; in the cockpit, the engine is not felt significantly (unlike numerous fixed-wing installations). At low-and-slow flying over friendly fields, virtually no aircraft does it better than a powered parachute like the Infinity. 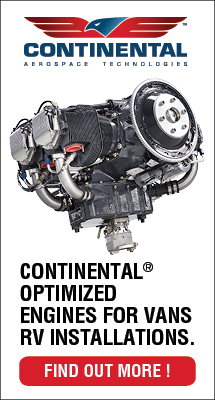 Cons - Climb rate is rather weak for a powerful engine like the Rotax 582; 2-place climb rate is only about 300 fpm. Sink rate is rather high, as evidenced by the forces felt in an engine-off, 2-place landing (though the chassis absorbed this beautifully). Endurance is not a strong point. Pros - Powered parachutes have a good reputation for in-flight stability, one of the best in aviation. An improperly controlled powered parachute will return to level flight by releasing steering controls. Except for rare conditions (see Cons), an Infinity is not plagued by stalls of any kind. No adverse yaw issues either. Cons - Powered parachutes can suffer canopy collapse and can enter something referred to as a meta-stable stall (though both conditions require significant error to enter). Rigging for trim flight is done on the ground and requires understanding of line arrangements. Pros - A new-generation design improving on earlier models (company owner worked with a previous company before starting Infinity). Feature-laden design with many standard items that are optional on other brands - yet without making a high purchase price. Fully factory-assembled. Strong frame is protective of its occupants. Warranty on chassis is 3 years. Cons - Fortunately, an Infinity is fully built, as the parts count is higher than some other powered parachute designs. No current information on how Infinity will approach Light-Sport Aircraft ASTM certification; contact factory for updates. Website and literature are sparse on technical specifications. On a warm summer evening, a large field of 3-foot-tall oats sways gently in the breeze. In this pastoral setting a runway is cut down the middle. The farmer who owns this field has a light aircraft he flies from his country property, and he’s kind enough to allow Tim Norling, a local powered parachute pilot, to use it, too. Norling operates Let’s Fly, an Infinity powered parachute dealer 20 miles north of Minneapolis, Minnesota. By the time Norling gets his Infinity powered parachute set up, the winds have quieted down, as we hoped they might. It is a beautiful evening for flying in Minnesota, and I am ready for a flight. Some pilots say, “Oh, those powered parachutes are too vulnerable. You can only fly them in gentle winds.” Yeah, so? Is it really imperative to fly in strong winds? Is being restricted to mild conditions a bad thing? Powered parachutes tend only to be flown when it’s pleasant to do so.